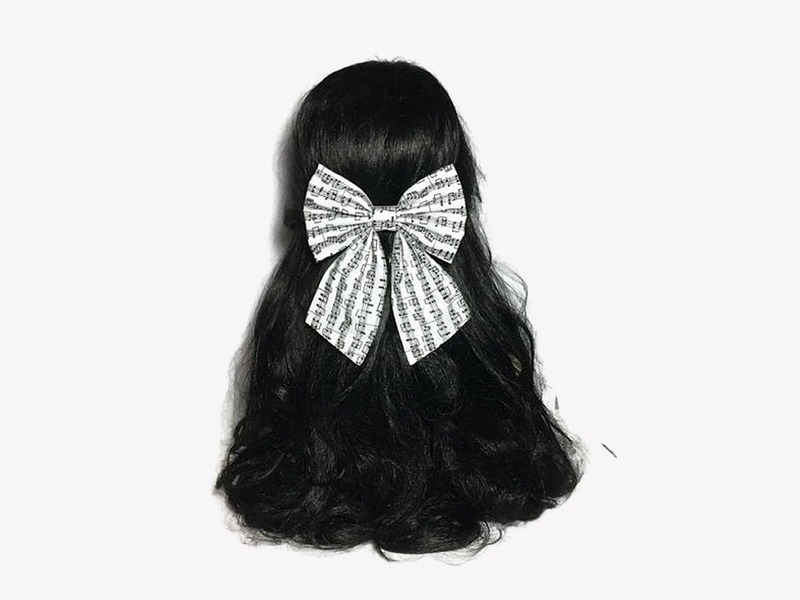 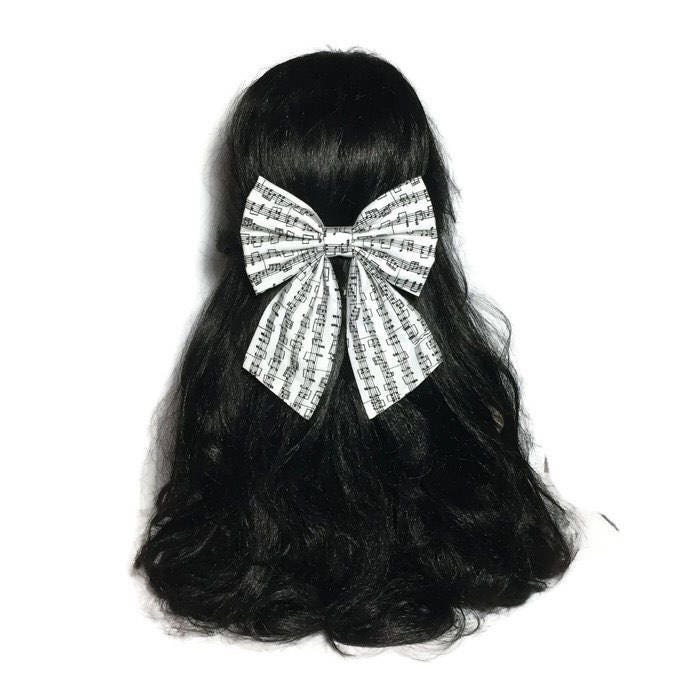 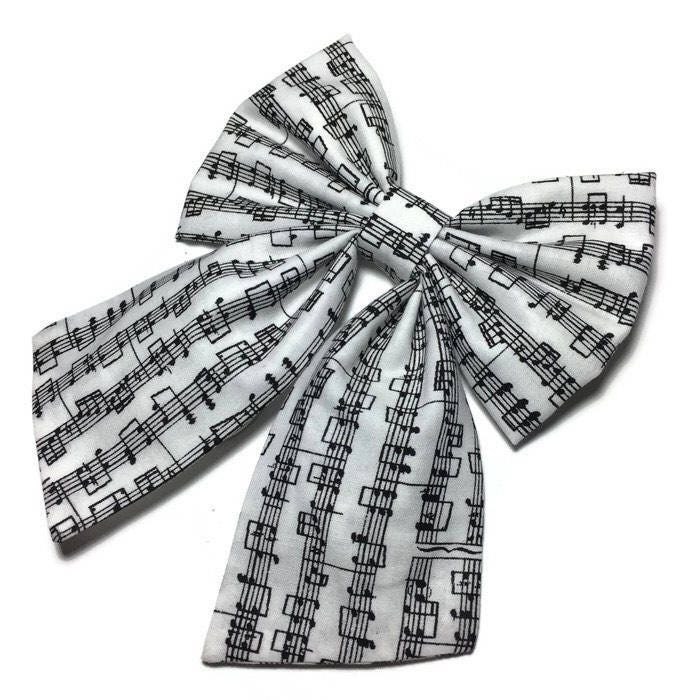 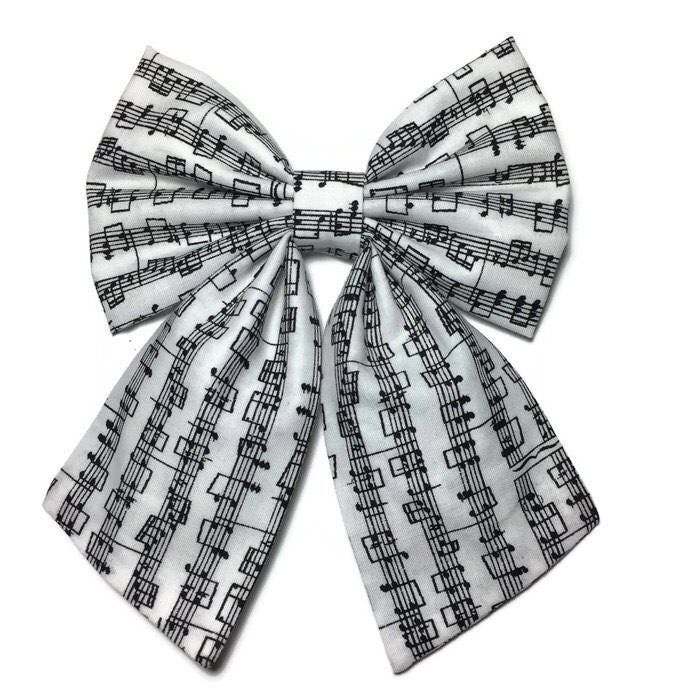 This hair bow is handmade on a black and white piano notes cotton fabric. 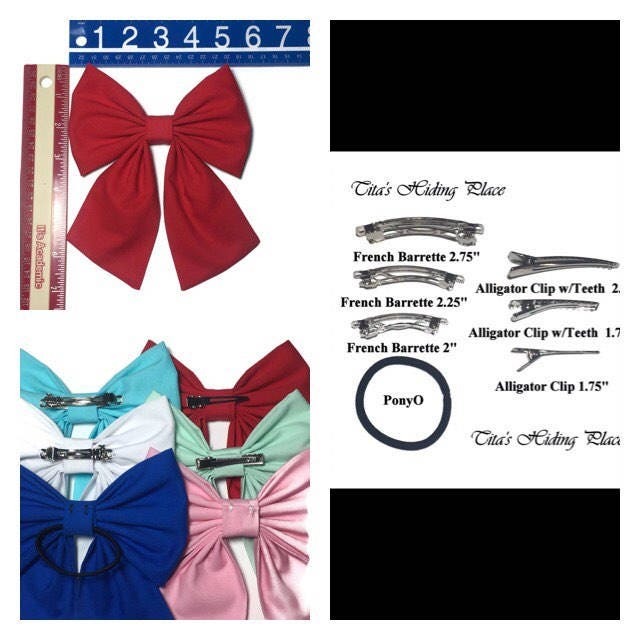 Shipped very quickly and is made very well. 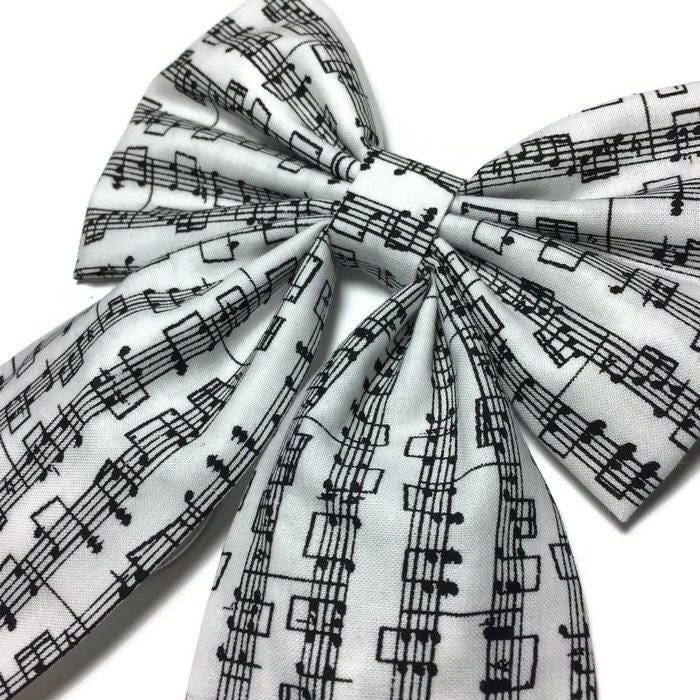 I'm excited to put this bow on my college graduation cap!